The New York Tribune, one of the most powerful Republican Papers in circulation during the Civil War, was headed by Charles Anderson Dana. 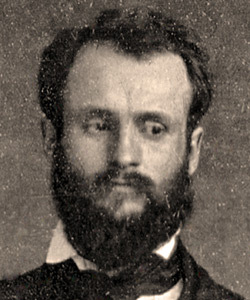 Dana held the position and played the role of a go-between for General Grant and the War Department during those days. He was highly involved in politics, all manors of war, and kept front line reporting at the forefront of his mind. When he became the managing editor of the New York Sun, a job he took quite seriously, he announced a credo. his goal was to present a daily photo of the world’s doings, something that would encapsulate the time. That gave him great appeal among the working class, who enjoyed his snapshots of the every man. He soon found himself championing the Democratic movement for workers. That title would only last until the 1890s, when his ambitions would change to becoming a champion of business-oriented conservatism. Dana had a history of journalism, having written for several well-known publications for the time. He had bylines with Harbinger and the Brook Farm publication, and his work was based largely around social reform and improving general literacy. His travels took him to Cologne, where he met and spoke with Karl Marx. And that was when his prestige brought him to the New York Tribune. Dana became the publication’s managing editor, and he began rallying against slavery and the economy it created. This seemed to shape the paper’s identity, but Dana was a fickle man and took on many issues. Dana was a journalism genius, successfully building his paper on interesting ideas and a motivated staff. He mastered marketing and storytelling during a time when Americans needed a voice.